Safe and effective operation of lifting equipment depends on the continued safety of all lifting equipment and accessories. Failures of lifting equipment can result in significant or even fatal injuries. The Lifting Operations and Lifting Equipment Regulations 1998 (LOLER) require employers to ensure that lifting equipment is examined by a competent person every 6 or 12 months (dependant on the type of equipment or its intended use). CTS Safety Engineer Surveyors will advise on exactly what needs to be inspected, to comply with current legislation, and our team ensure you are reminded when inspections are due. All of our Engineer Surveyors are competent persons for the types of equipment that they examine having the relevant practical and theoretical knowledge and experience. In addition, to thorough examinations, CTS Safety can also offer proof load testing services, speak to our team for more details. 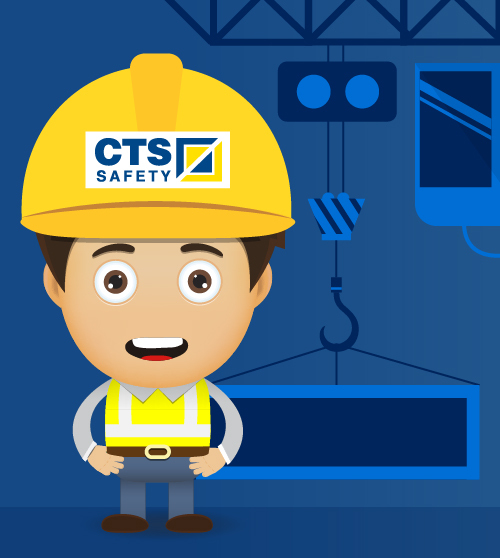 CTS Safety do not provide repair or maintenance services for any equipment, this allows us to be completely independent and impartial when examining equipment. See our ‘Inspection Frequencies’ section for further examples of the equipment that we examine along with the relevant timescales involved.